Is It Illegal to Drive Without a Front Bumper? Only children who love racing bumper cars at the amusement park might think that automobile bumpers are meant for bumping fun. In fact, bumpers are intended to protect cars from damage in a low-impact crash. Front bumpers are mandatory in most states. Front bumpers are mandatory in most states, and you can get a fine for driving without one. Think of a bumper as a sort of shield for your vehicle. Bumpers are made of steel, aluminum, rubber or plastic. They are mounted on the front and rear end of a passenger vehicle. If a car is involved in a low-speed collision, the bumper absorbs the shock and, in doing so, reduces damage to the main part of the vehicle. While some bumpers use energy absorbers to reduce injury, other types of bumpers are constructed to include a foam cushioning material. Still, it is worth noting that, according to federal law, bumpers are not a safety feature intended to prevent injury severity to occupants. They are simply designed to protect auto body parts like the hood, trunk, grille, fuel, exhaust and cooling system. In yesteryear, bumpers were rods of steel. 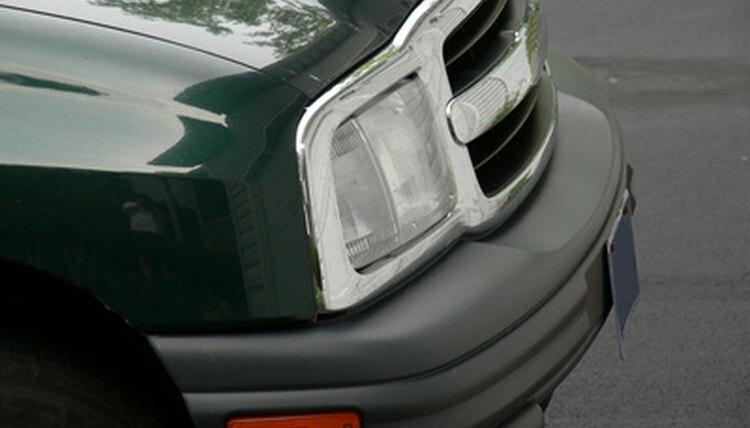 Many modern bumpers in passenger cars these days are painted to match the vehicle body, looking sleek and attractive. And that's lucky, since in most states, it is illegal to drive a car without a front bumper. Most state laws require automobiles to have front bumpers. That means that if you remove your car's front bumper and drive around, you could get a ticket. California's law is typical. Article 11.5 of the Vehicle Code, section 28071, provides: "Every passenger vehicle registered in this state shall be equipped with a front bumper and with a rear bumper. As used in this section, “bumper” means any device designed and intended by a manufacturer to prevent the front or rear of the body of the vehicle from coming into contact with any other motor vehicle." California law specifically excepts from this requirement any car that did not have bumpers when it was first sold. Ohio law is similar, both in the requirement and in the exception. The statute in Ohio provides that "no person shall operate upon a street or highway any passenger car, multipurpose passenger vehicle, or truck registered in this state without a bumper on the front and rear of the vehicle if such vehicle was equipped with bumpers as standard equipment by the manufacturer." Wisconsin law is similar, but adds that a car's bumpers must be maintained in good condition. It also requires that any replacement bumpers must be the same type as originally required or of equivalent size, strength and surface area. Spengler, Teo. "Is It Illegal to Drive Without a Front Bumper?" , https://legalbeagle.com/7557131-illegal-drive-front-bumper.html. 10 December 2018.